Beautiful lake front property situated on North Lake a Sun City center community. House is 2 bedroom and 2 bathrooms. Updated bathrooms and updated kichen with stainless steel appliances. 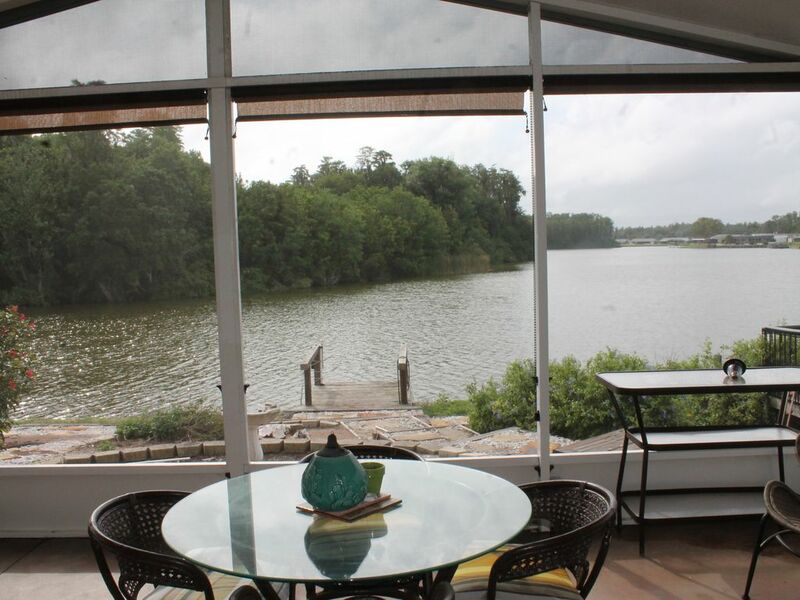 Large sliding glass doors take you outside to a screened in porch overlooking looking the lake. Also a large open deck outside looking out to the lake and the canal. Tv room with 50 inch flat screen, Florida room, living room, dining room a lot of space under central air / heat. Note: Sun City Activity cards included - which allows access to all amenities ( fitness center, tennis, swimming pools, clubs, etc). Corner unit - also has view of golf course and canal.